MCCGP, being in the business of serving the Muslim community of greater Pittsburgh, receives requests for help from a diverse section of the community. A set of guidelines have been instituted to better serve the community members who rely on the generosity of the congregation to fulfill their needs. These guidelines are meant to streamline overall process, increase transparency, and ensure proper disbursement of Zakat/Sadaqah funds. 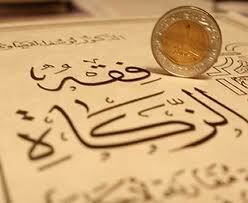 Zakat/Sadaqah application form is the first step in applying for financial assistance. Please click the button below to download, print, and fill the form.